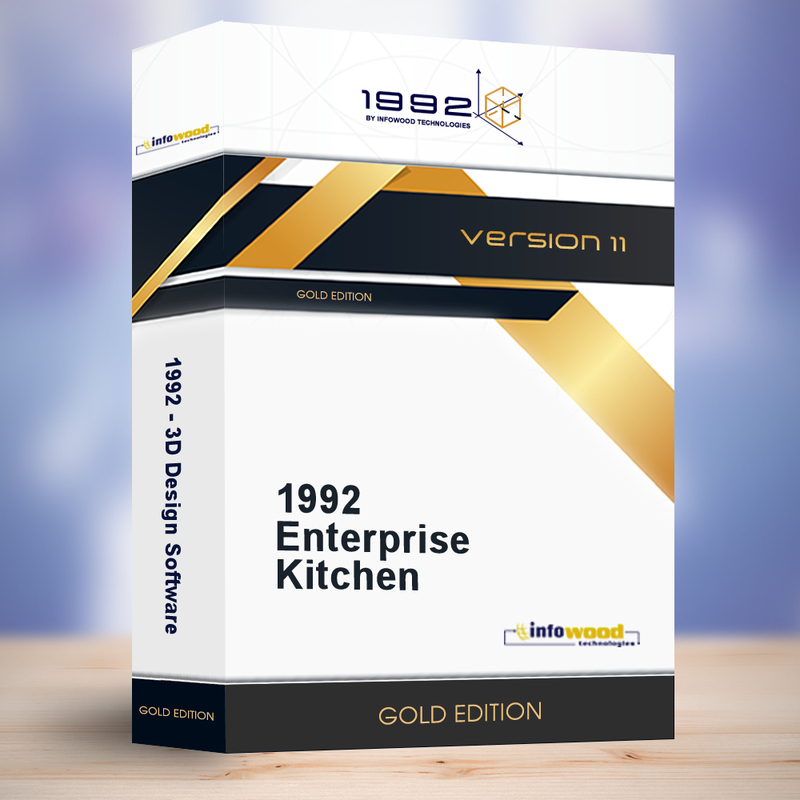 Kitchen relates to annually rent of 1992 Enterprise. It includes system libraries as well as furniture and materials libraries. Also, it includes free the furniture library Kitchen Closet. There is a wide range of materials below, which are continuously updated. Kitchen relates to “1 license” and the duration is “1 year“. Cpyright ©2016 Infowood Technologies. All rights reserved. CMS is an organized, modern and trustworthy company which operates in wood industry sector in Greece. The last few years has shown dynamic activity also abroad. Having focused on customers’ needs and requests, principal philosophy of CMS is their best possible service. The new ultramodern facilities in Sindos, Thessaloniki cover 12.000sm (roofed), having as a result the production of the company to be more complete. The company Marioglou was established on 1954 from Theodoro Marioglou with a small store in Fillipou street at Thessaloniki. With the high growth rate it turned out to be today the biggest in its kind. Many thinks stayed inalterable. The consequence, immediate and perfect service, top quality. All above support our long year relationship. SANITEC S.A., one of the leading Sanitary ware Industries in Greece, having an experience of three decades in the field, offers in the market a wide variety of sanitary ware bath and kitchen products. The company owns privet property of 4000m² in Thessaloniki-Greece, with industrial facilities for kitchen sinks and bathtubs production, logistics & division warehouses, show rooms & administration offices. SANITEC S.A. for many years has developed a wide sales network; the products distribution covers the whole of Greece and Cyprus. The company exports to various foreign countries (in Balcans, Europe, Russia, Middle East, North Africa) offering immediate service to all the customers’ demands. Praxitelis firm was founded in 1985, in Corinth, and the first factory unit was set up for the production of Wooden Kitchen Cabinet and Wardrobe Doors, class Solid – Semi-Solid. The wide variety of design models, combined with the quality and flexibility in service, have quickly led the company to become a leader in this field. Today, the company’s facilities, where the production facilities are located, are privately owned and occupy an area of 30,000 m2, while for better service of our clientele an exhibition room also operates in Athens. The company, with eyes always set on the future and sensing the market needs, launched the implementation of an investment program in new production lines, which is still ongoing. Firstly, the company set up the production line for Kitchen Cabinet and Wardrobe Doors of HPL-Ρostforming class, with the aim to place these items at the forefront of its cutting-edge products. At the moment, the complete collection includes more than 70 colors on different surfaces – glossy, matte, wood effect, textured, smooth, and embossed – and is constantly enriched, claiming its place in every elegant room. Following this, we organized a facility of an automatic production line for Kitchen Countertops. The company produces high quality kitchen countertops and has developed a range of colors which exceeds 60 colors, covering even the most demanding preference. At the same time, an additional production line was established for the manufacture of Kitchen Cabinet and Wardrobe Doors, class Direct-Postforming. The collection is gradually growing, reaching today 45 colors, also on various surfaces, such as matte, embossed and smooth. To continue the efforts to provide the client with high quality products and expertise, the company has invested in an automatic Melamine production line, making Praxitelis firm a leader in the industry. The color index of melamine includes 45 colors, which harmonize perfectly with the palette of the direct-postforming types, providing the customer the opportunity to create specific combinations and ensure high quality results. The Vision of Praxitelis firm is to operate a business within a healthy entrepreneurial environment, oriented to the growth and prosperity for all partners involved. Growth and prosperity should not be seen as – nor are they – inapplicable concepts. The company creates all those conditions that can give the impetus to reach new goals for all our benefit. A close-knit group of people is working towards implementing the company’s VISION. In the future, the company aims to continue its investments in people and technological equipment with the same intensity, in order to always stay one step ahead of the market needs and to provide support to the professionals, by showing the same responsibility and consistency, at all times. Furthermore, the goal is to enhance the company’s presence in exhibitions in Greece and abroad, in order to gain on outreach and expand its role in the international markets, too. We are sensitive towards human needs and place the focus on quality and continuous technological advancement. The company lays the foundation for future corporate growth always with vigor and optimism for a better tomorrow. Kastamonu Romania is the result of an impressive investment plan, from all financial, technical and human resources points of view, carried out by Kastamonu Entegre, the biggest operator in Turkish wood industry, starting with 1998 in its quality of major shareholder(98%) of the Prolemn. After 14 years of continuous developments, it has become operational at Reghin, a complex and modern wood processing platform with 2 production units and more than 800 employees. The change of the name, from Prolemn to Kastamonu Romania, starting with April 2012, was meant as final confirmation that the company is finally prepared to perform its activity within Kastamonu Group, in accordance to its rules and objectives. AKRITAS today possesses one of the most modern wood product processing units equipped with high specification technological equipment. The factory is situated on 370.000 sq.m. of privately owned land on the Alexandroupoli-Orestiada motorway axis. The 60.000 sq.m. factory building houses the production facilities and administrative services . The company’s headquarters and administrative services (Financial Services, Internal Auditing Services) are located in new, modern, privately owned offices in Alexandroupoli. For better customer service, the company has set up sales offices and a distribution centre covering a surface area of 4.780 sq.m. in N. Agchialos, Thessaloniki, which house the company’s commercial departments (Foreign and Domestic Market Sales and the Northern Greece Distribution Centre). The Athens sales offices are located in N. Smirni Attica. Kronospan also produces speciality and decorative paper as well as other associated value added products, such as melamine-faced panels, worktops, wall panels, window sills, lacquered HDF, compact boards, high pressure laminates (HPL) and others. Kronospan manufactures wood-based panels at more than 40 sites and is local in many countries. We employ over 14,000 people with 70% of total product sales generated in Emerging Markets. Today the EGGER Group is owned by brothers Michael and Fritz Egger who, as the owners, help determine the strategic guiding principles. The business operations of the family company are led by EGGER Group Management with Thomas Leissing, Ulrich Bühler and Walter Schiegl. For over 36 years the group ALFA WOOD is the natural force in woodworking industry. “Physics”, because it is dedicated to a unique gift of nature, wood, but also because the course and evolution of the group reveal an inner, natural energy that constantly set new goals and implements them … and “power” because ALFA today wOOD is a leading wood processing industry company also contributes to national economic growth. O group ALFA WOOD characterized by love in the wood, growth respecting the environment, the selected manpower, high quality products and services, new technologies, the ambitions and strategic thought. The modern facilities of the group in Larissa, Grevena & Delchev meet the needs of the domestic market and abroad, producing a huge range of products. Since 1975 we have been active in wood constructions and specialized in production of kitchen furniture. From 1991, due to our high specialization in working with massive wood, we have focused in the manufacturing of fronts and cupboards, using high quality European woods grown in ideal environmental conditions. We achieved the creation of a vertical production line, selecting the best raw material from suitable forests, dried and prepared under controlled conditions and finally using the best of them for the production line. Our constant investment in technology equipment enables the production department to follow the demands and needs of the design. Our design department, having in mind to satisfy the European market needs, designs classical & modern lines, using different kinds of wood, such as oak, beech, cherry, alder, ash and many others. According to our client demands we also manufacture combinations of wood and natural veneer solely. Our target remains the complete satisfaction of our clients in order to keep long standing and stable co operations and above all to accomplish their needs.